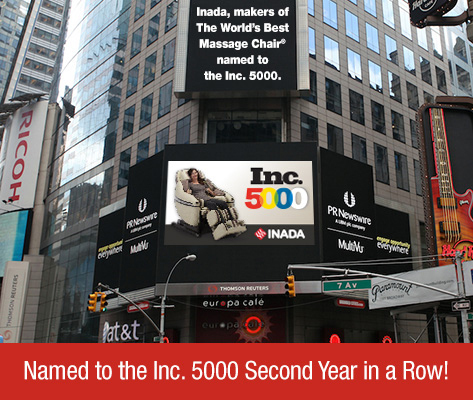 We’re excited to see our client and friends at Inada USA named to the Inc. 5000 list of fastest-growing companies in America. With 5.7 million private companies in the U.S., that puts their growth in the top 100th of 1 percent! As the exclusive U.S. distributor of Japanese-made Inada brand massage chairs, they have continued to lead the industry in product quality, customer support and marketing innovation. We’re always amazed at their hard work and entrepreneurial spirit, and are grateful to partner with them in building their brand, engineering their digital strategy and supporting their advertising and PR efforts.